The latest technologies are becoming indispensable in business. And software developers are ready to embrace the innovation. Jasoren, a software development company from Florida, is gladly introducing the very core of their state-of-the-art services. Among the wide variety of technologies they use to build software solutions, there is virtual and augmented reality. Creative and detailed 3D environments, facial recognition, 3D modelling and animation provide new exciting opportunities for entrepreneurs and consumers. These hi-tech business perfecting solutions have been around for quite a while now. However, today they are moving to a new level. Augmented reality is on its way to improve safety and effectiveness of business operations in various industries. It transforms the shopping experience teaching clients how to interact with a brand in a completely new way. It also seriously modifies the rules of travelling using innovative navigation solutions. And it enriches education, providing unique learning materials and methods that help learners experience things they could previously only read about. To discover more about AR technologies and use cases Jasoren works with visit https://jasoren.com/augmented-reality-development/. Virtual reality has reinvented the relationships between companies and their audiences. Jasoren provides the development of virtual reality experiences for trade shows and product launches, exhibitions, showrooms and other events. While exploring 3D space and interacting with it, event participants create a better image of the company. They engage in the story about the company and explore its products and services in the virtual settings. Virtual reality technology is used in other industries beyond events. For example, VR is being integrated into the medical sector, where it has already shown promising results as a medical training and mental health instrument. More information about Jasoren's experience building virtual reality solutions can be found at https://jasoren.com/virtual-reality-development/. Jasoren team prioritizes quality, integrity and diversity of services, offering assistance in project management, engineering, design, testing, and maintenance with different degrees of complexity. 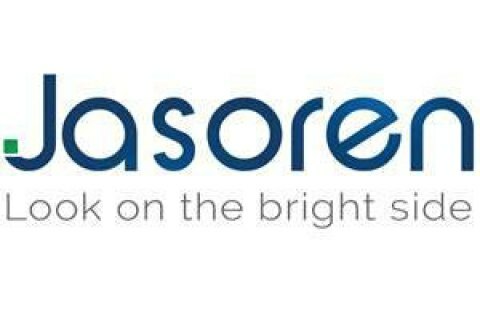 The company greatly appreciates the rapport it has built with their clients who eagerly share their feedback about the collaboration with Jasoren. “Such a degree of professionalism and expertise that Jasoren team has are hard to find when looking for software engineers. They can understand the challenge and produce a product fast. They are able to come up with design suggestions and have their own ideas”, says Philippe Tour CEO of Arkamys. Having completed hundreds of projects, Jasoren is proud of the long-term partnerships, and keeps maintaining quality in everything they do. They make business more competitive and simply outstanding. The company was established in Florida, USA, and now also enjoys European representation. Jasoren has managed to gather a productive team of talented developers and other professionals, helping companies around the world achieve excellence and technological timeliness. TISSOT, WELLA, CAT Footwear, Armani Jeans and others have already entrusted there projects to https://jasoren.com.